Cat Drooling – Why do cats drool? I remember a time when I got my first little kitten boy. At first, he was hiding everywhere he could. My family and I couldn’t even reach him for a moment. After a day or two, he started to feel more and more comfortable with us. Probably because of the food (he likes to eat, a lot!). But, after a few days, when he jumped in my lap to cuddle, I noticed something. Besides purring, he was also drooling. Now, that was weird for me. I haven’t seen that anywhere before. Or heard about! Cat drooling? Because of that, I started to research it. Why do cats drool? Well, some cats just do it! But, on the other hand, reasons can be more serious. If you want to know more keep reading! See also: Why does my cat lick my nose? Since I know my cat is completely healthy, I also know that there is no other reason for my cats drooling than this. That day he came to cuddle with me. And I’m glad to find out that he was drooling just because he was feeling happy, relaxed and content. Some experts say that cat drooling is associated with their relationship with their mothers. Kittens drool when their mother is nursing them. It is important to mention that cat drooling is commonly linked with cat kneading. Because, when mother cat is nursing kittens, kittens also knead to stimulate the flow of milk. With that being said, if you know your cat is healthy, relax. Your cat is drooling just because he/she feels relaxed and happy with you. Cats can drool if they feel some kind of fear, anxiety or if they feel nauseous. But, let’s be honest, fear, anxiety, and nausea come hand in hand. One after another. Excessive drooling is also a cause of vomiting. Many experience this with their cats when they have to drive in the car, bus or any other transporter with them. Apart from emotional reactions, cat drooling can be caused because of some disease. One, less serious is a dental disease. We all know how dental disease can cause enormous irritation in your mouth. And, cats are irritated too. Because of that, cats tend to drool in order to minimize this irritation. If your cat is 3 or more years old, chances that this is the reason for your cats drooling are higher. Over 80% of cats that are 3 or more years old experience dental disease. Is it hot where you live? So hot you are having trouble dealing with it? If that is so, you might have found an answer for your cat drooling. Just remember to provide plenty of fresh water for your cat. We all know that cats are extremely curious creatures and they tend to chew anything that seems interesting to them. Because of that, if your cat is drooling, she/he might have something stuck in its mouth. It can be anything from fish hooks, bones, strings that are wrapped around the base of the tongue to sticks. Check your cat’s mouth to see if you can get it out (but only if it’s still at the beginning of the mouth). But, if you can’t see anything or if something is stuck deeper in your cat’s mouth, you should visit a veterinarian. There are some plants that are poisonous to your cat and they can cause drooling. Because of that be careful what plants and flowers you put in your home or your yard. Here is the list of plants that might cause cat drooling: Amaryllis, Autumn Crocus, Azaleas and Rhododendrons, Castor Bean, Chrysanthemum, Cyclamen, Diffenbachia, English Ivy, Elephant ear plant, Kalanchoe, Oleander, Calla lily, Peace Lily, Pothos, Sago Palm, Spanish thyme, Tulip and Narcissus bulbs, Umbrella plant, Mother-in-law’s tongue. On the other hand, some household item can also be poisonous for your cat. For example laundry detergent, liquid potpourri or some other household cleaners, alcohol, antifreeze, raisins, etc. If you suspect that your cat might have put something in its mouth, and it shouldn’t have, try to wash it down carefully. 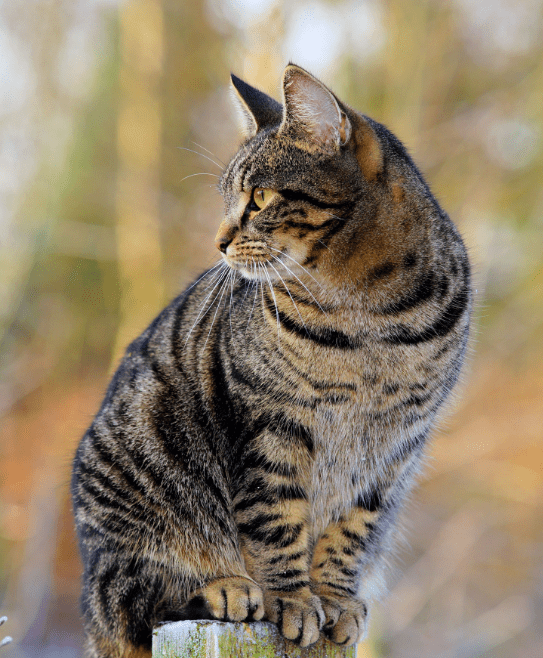 If your cat has some respiratory condition, it can be the reason for your cat drooling. Respiratory conditions cause ulcerations in cat’s mouth. Because of that, your cat will drool (it increases saliva flow). If your cat is experiencing only drooling, this probably isn’t the reason for it. 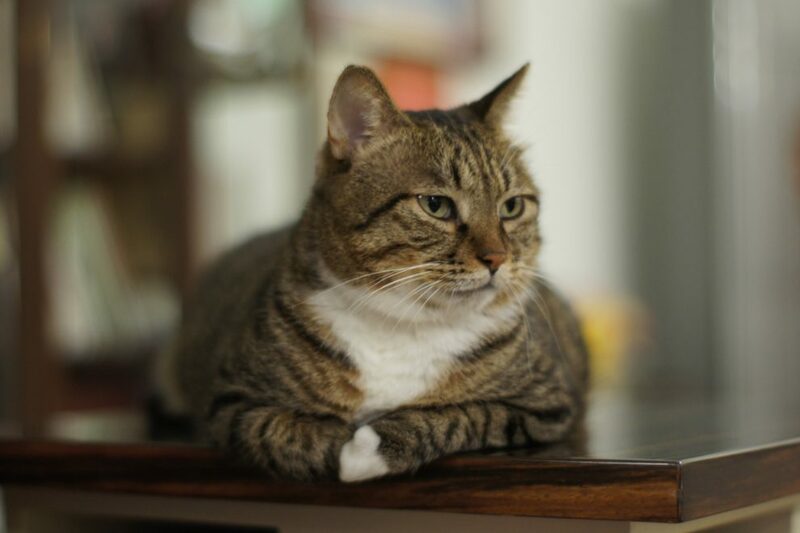 Kidney failure can is fatal for cats, but it also brings a lot more symptoms than just cat drooling. Take drooling as a sign of kidney failure if you also see these symptoms: weight loss, increased thirst, increased urination (noted by larger clumps of urine in the litter box), dilute urine and bad breath. This is another more serious, but also less common reason for cat drooling. Remember when we talked about dental disease and it’s irritation? Drooling lowers irritation in your cat’s mouth. The same goes here, only with the more dangerous disease. So, if you are suspecting this might be a reason for your cats drooling, run to the veterinarian. Your cat should have a full check-up. See also: Why do cats roll around? As you can see, there is more than one reason for cat drooling. It can be emotional or physical. If your cat is drooling while you are cuddling him/her, then don’t worry. Just enjoy it. Or, if you have a problem with it, put a towel between you and your cat. Also, if fear is what caused your cats drooling, it should be over soon. Or at least when you arrive to a safe place. On the other hand, if drooling is caused by something else that is listed above, I would suggest that you go to the veterinarian. Your veterinarian will definitely know what to do.